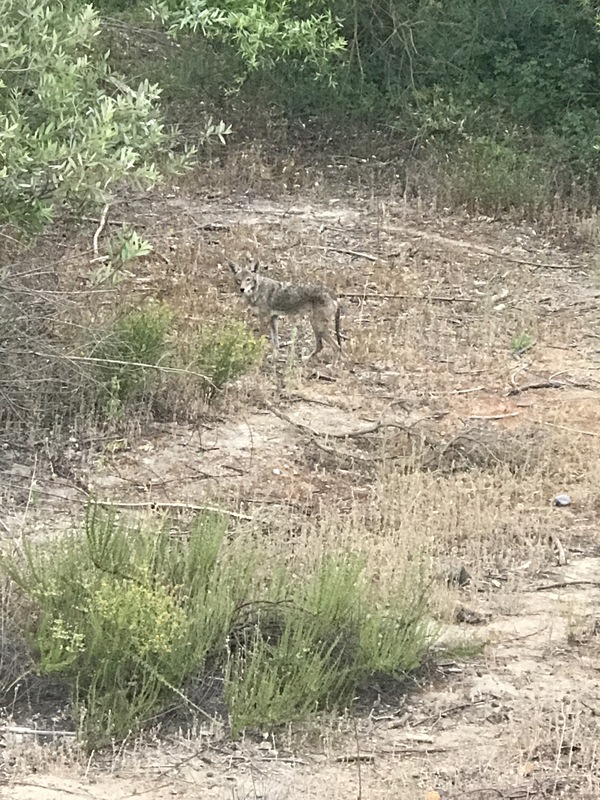 Here in Southern California the coyotes are as common a sighting as deer back east. Even though you see them all the time you are still mesmerized and shocked each time. I saw something on the trail off in the distance and said I think it’s a coyote so I went running after it 🙃. Really I wanted to scare it away because my neighbors let their cat outside and it was about that time of day when the cat would be going out or coming in, nonetheless I was going to chase it off with my beast dog by my side. 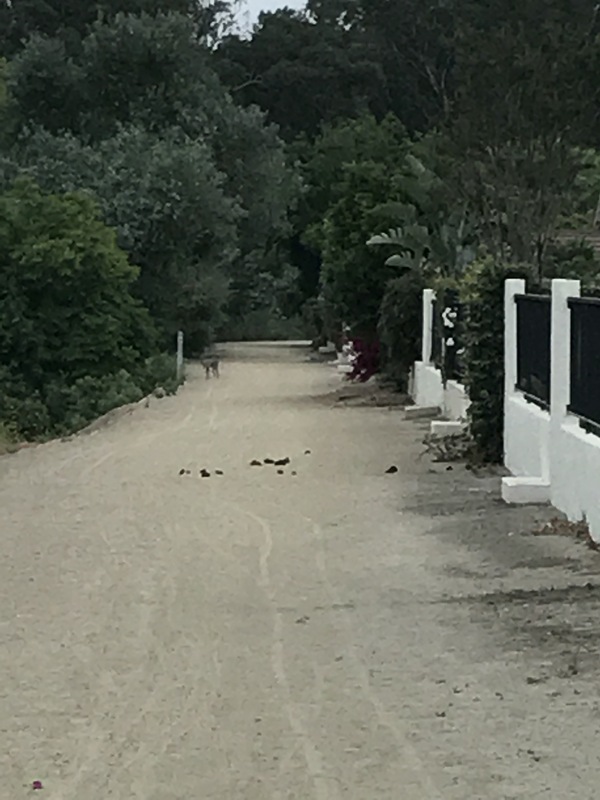 The strangest thing happened, the coyote, female I presume walked a little further than this and stood behind some brush and just watched us. So much for chasing it off. So I told Mara to bark at it and I did not start recording right away but at first she jumped up and down with excitement, wagged her tail and hen started talking back, this went on for a long time. I actually stopped it. The neighbor who’s house I was behind came it hearing all the commotion and said he thinks the coyotes den is right behind his house as the other night he had 3 noses sticking through his fence at him. He only lives 4 houses down from us 😬.